Bowmore 12 Years 0.7 ltr. Laphroaig 10 Yrs 0.7 Ltr. Laphroaig 10 Yrs 1 Ltr. 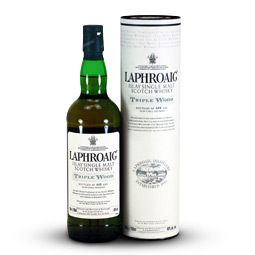 Laphroaig Triple Wood 70 cl. The Alchemist Bowmore 12 y.